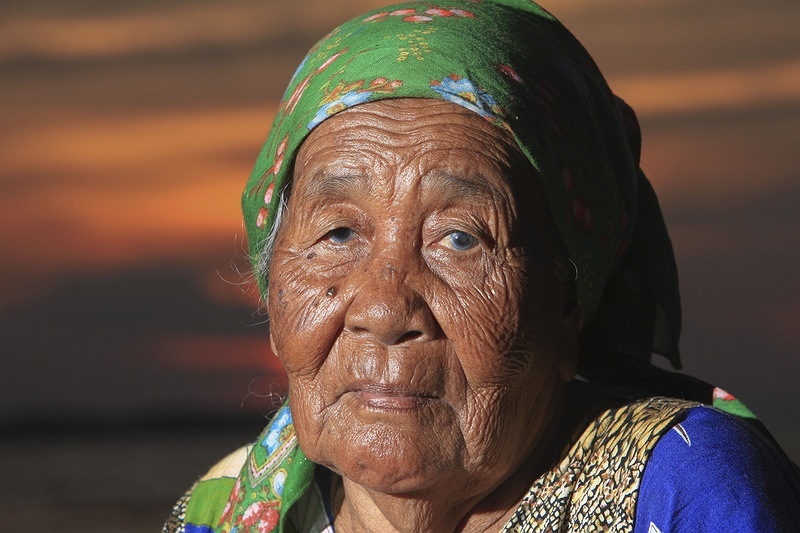 Samiah, 86, lives on Pramukha island, part of an archipelago of approximately 128 islands lying in Jakarta bay commonly known as Pulau Seribu (Thousand Islands). Samiah has noticed changes in weather patterns and sea tides, but mostly she is unaware of the connection between humans and climate change. These islands will sound a warning alarm to nearby megalopolis Jakarta as the sea level overcomes them. The city which also lies mostly at sea level and is sinking due to groundwater extraction is home to almost ten million people.